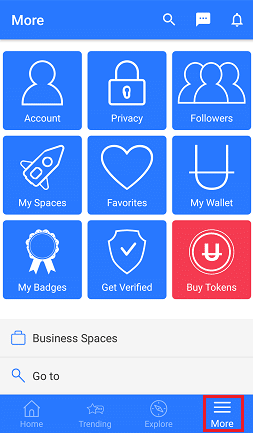 UHIVE | What is the purpose of the Deposit option? What is the purpose of the Deposit option? 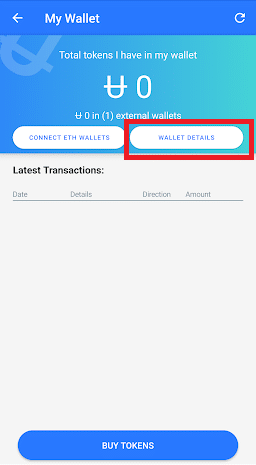 The Deposit option displays the internal wallet address which is used to transfer the tokens from any ETH wallet into this internal wallet. Where do I find the Deposit option? 5. Click on the Deposit option. 6. 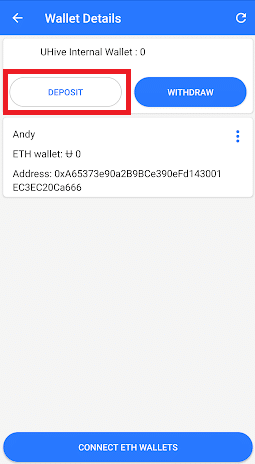 Copy the internal wallet address. 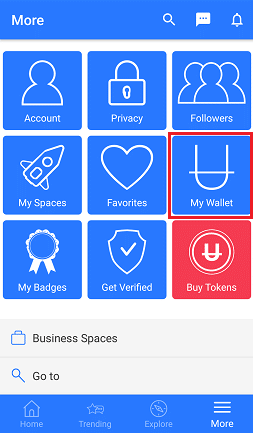 Users can only deposit UHive Tokens to the internal wallet.